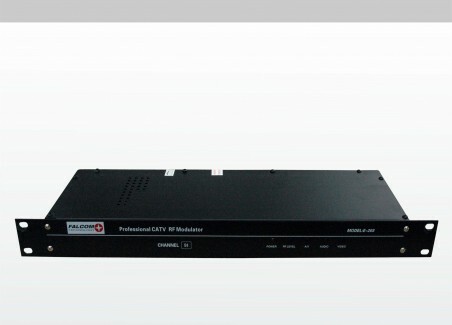 Falcom MW 963 modulator is a professional fixed channel modulator. 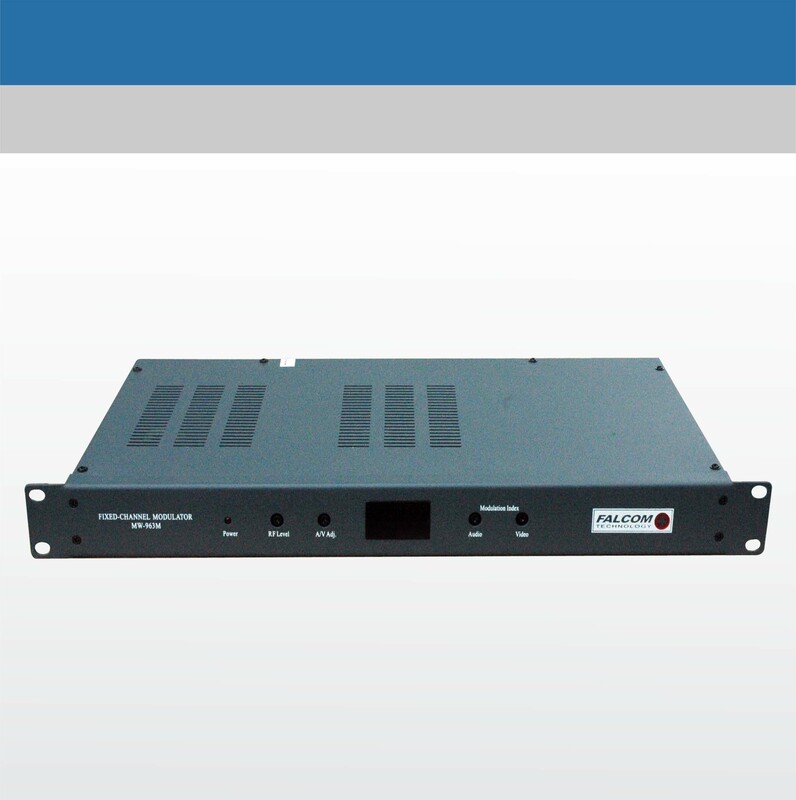 It is constructed with proprietary three SAW filter processing that achieves true Vestigial Side Band (VSB) response makes the modulator will operation stable in adjacent channel operation. The spurious harmonic is better than 60dB, with outside channel filter, spurious harmonic could be above 70dB. Both video and audio carriers are PLL controlled to ensure accuracy and stability. 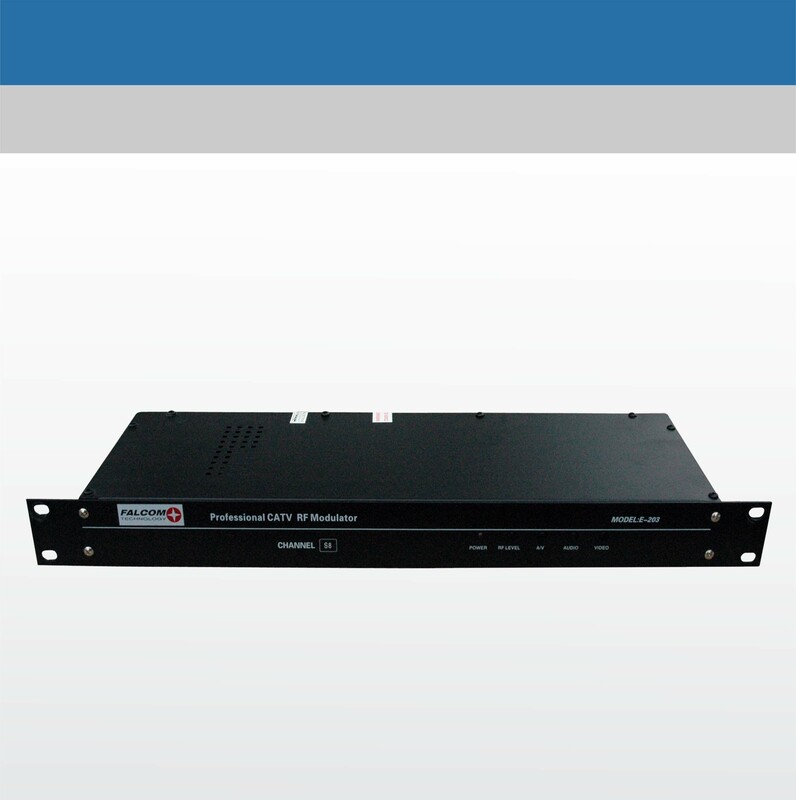 FalcomMW 963 modulator provide audio and video modulated RF carrier on fixed channel in 45 MHz to 860 MHz frequency range. 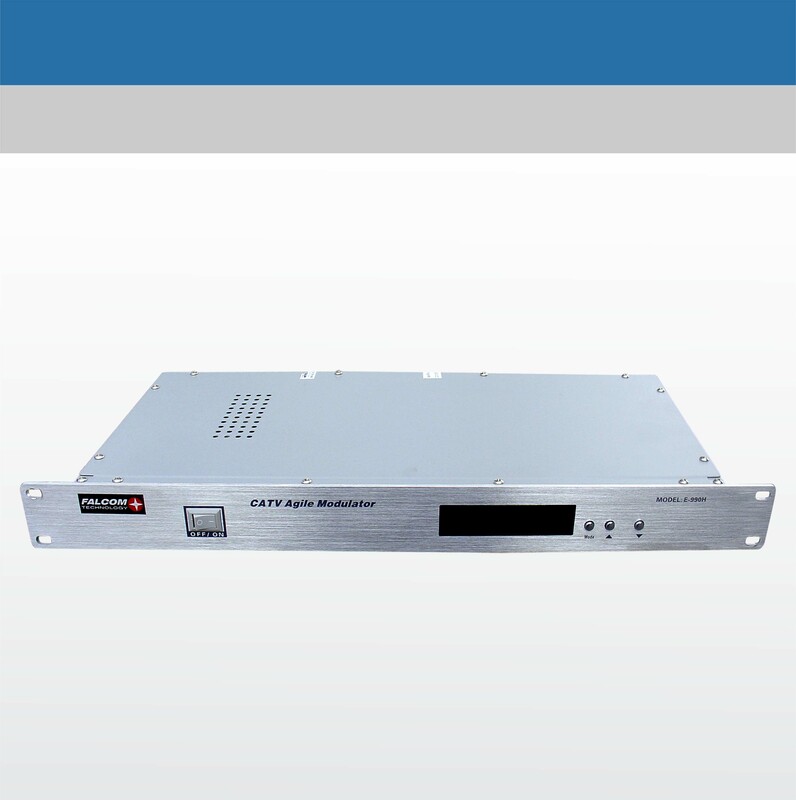 Many standart audio and video source can be used, such as satellite receiver, video tape recorders, digital DVD and VCD player and many other type of signal audio video source. 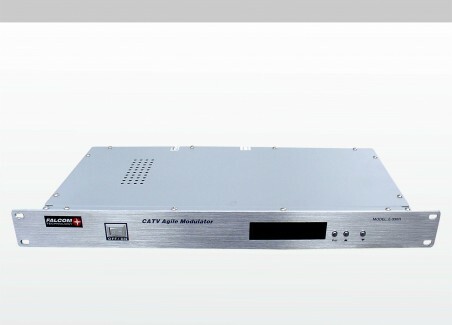 Falcom MW 963 modulator has a wide range of standart and optional feature that make it very suitable for advanced MATV or CATV system.